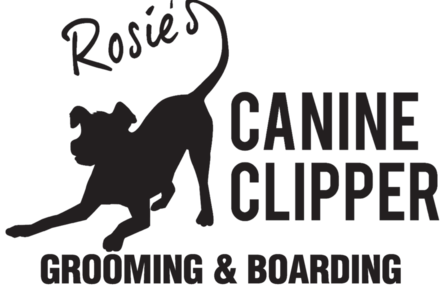 Serving the greater York, PA area Rosie's Canine Clipper strives to provide our customer's pets the highest quality grooming and boarding / kennel services personalized to your pets unique needs. We offer full service grooming for your dog, for special needs please consult with the groomer. A Self Bath area is also available for those who prefer to do it themselves for $15. RCC is an open play/exercise facility and encourages socialization and play time for the dogs under our care. We take the appropriate steps to ensure the dogs are compatible to engage in play time together. We have a ½-acre fenced play/exercise yard and provide wading pools in summer. For further details please feel free to speak with us for more information. Our Kennels are climate controlled (heated & air conditioned), we provide bedding and food/water bowls. Rabies, distemper & Bordetella (kennel cough), a vaccination certificate from your veterinarian is required. $32 per night if we supply food (2x’s daily). High quality grain free food. $30.00 per night fee for special need dogs (i.e. 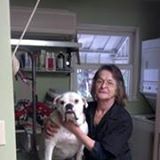 cannot engage with other dogs, is dog/people aggressive or for medical reasons). *If 2 or more dogs from the same household share a kennel, the rate is $25 per night for the additional dog(s). Drop-off is from 8am to 6pm. Pick-up is by 12-noon with no additional charges. Pick-ups after 12pm & up to 6pm with incur a $15 daycare charge. No late pick-ups are allowed after 6pm. Daycare Rates & hours - To participate in daycare your dog must be social and able to engage in play with other dogs.